I missed the chance to open my Charade Blu during the Criterion challenge so good to know I've got another opportunity. I like the film but didn't expect it to be an Oscar nom. It's only nominated for the song. It's so funny, I just assume all the old classics (like Some Like It Hot and The Searchers) qualify cause they were at least nominated and am always surprised when something wasn't. No go for you this year, The Monkees? Although we have a slightly different taste in some films, I enjoy your YouTube channel. No promises how attentive I'll be, but I'm in. Gonna try to have more first time viewings than repeats. We'll see how it goes. The blu ray I got in the mail today runs 3 hoursl and I got home at 11:30 with work tomorrow morning. Guess that can wait for tomorrow. Gotta find a shorter title for tonight. I just realized I'm on the board since I saw The Artist today! Nice. Just 99 more to go! Just streamed my first movie for the challenge, The Man Who Wasn't There, a 2001 nominee for Best Cinematography (Roger Deakins). This was a first time viewing for me. I rather enjoyed it, though I found it all quite obvious and predictable. Still, the production design was terrific and I loved the black and white aesthetic. The dialog was well written, creating a very specific environment and of course, I loved the cast. Last year, I tinkered with setting for myself the objective of seeing all the nominees in a specific field, in a specific year. I'm going to try to see all five 2001 Best Cinematography nominees. I own one (The Lord of the Rings: The Fellowship of the Ring), and I've seen two of the others (Amélie, which is not currently streaming on Netflix, and Moulin Rouge, which is). The fifth nominee, and now the only one I have not previously seen, is Black Hawk Down which is also streaming on Netflix. I may check to see if the local library has Amélie, and failing that, I may break down and squeeze that into my budget as it's one I want in my library anyway. I was actually looking at your 2011 list after you posted yesterday and noticed you mentioned this idea at the end. Definitely think this is a cool way of doing it. Let us know what you think. Thank God TCM's got the ball rolling now. I'll finally be able to watch more than 2 movies a day! Watched the Malcolm X on blu this evening and man does the film look gorgeous. It's also nice to finally be able to watch the film without having to flip or change discs! No disrespect to Pacino but I continue to be shocked that Denzel Washington didn't win an Oscar for this performance. To continue my black history month theme; even though I've taught a class on black film for five years, I had never watched Shaft before today. Decent film, great music. And for something completely different, I thought Fog of War was fascinating. Watched Eternal Sunshine of the Spotless Mind for the first time tonight. Damn am I impressed. Some areas in the beginning are a little slow for me at times, but the second half was excellent and actually makes you appreciate the first half more. Overall, I gave it an 8.5 out of 10, but was toying with a 9 since I feel like I'll want to revisit this again in the future. Winslet and Carrey are both fantastic - this may actually be my favorite Carrey performance ever. I'll need to check those out when I have some extra time (see Malcolm X is a whopping 202 mins!, but I am a big Denzel fan). I've seen the 2000 version of Shaft, but Samuel L wasn't nominated for any Oscars in that one. It's very fast-paced though. And even though the 2nd act (When Malcolm Little transforms into Malcolm X) is more dialogue-driven than the first act, Denzel's acting never ceases to lose your attention. To continue my black history month theme; even though I've taught a class on black film for five years, I had never watched Shaft before today. Decent film, great music. I remember watching them film a stunt for SHAFT in Times Square. It was the one where Leroy gets sent flying out the window ("Threw my man Leroy out the GOT-damn window!"). The actor playing him (Tommy Lane) was also the stuntman. A few months later SHAFT came out and played on 42nd Street. It was the first film I saw at a 42nd Street theater. The theater I was in is visible in the opening shot where Shaft comes out of the subway station and the camera pulls back to reveal the marquees on the Deuce. When I re-watched the film a few years ago I was struck by how well it captured the look, feel and flavor of Times Square and its environs in those years. What a time capsule. They shot the entrance to Shaft's office building on the block where I went to high school (the "Fame" school)--while I was in high school. Louie, the guy who ran the newspaper/candy stand in the building lobby where we used to get our gum and stuff, plays himself in that scene. I remember seeing the Oscar ceremony in early 1972 and Isaac Hayes' memorable performance of the title song from SHAFT and then bringing his grandmother up onstage with him when he got the award. Rex Reed trashed Hayes' performance in his column the next day. I love hearing Ash Ketchum reminisce about movies. That kind of attention to detail and passion is exactly what makes discussing film so much a communal experience. So, thanks for infusing our group with your recollections and insights. It adds a very enjoyable flavor to the forum. As for me, I went to stream Moulin Rouge as the second of the five 2001 Best Cinematography nominees...and discovered that Netflix pulled it while I was sleeping! > So, I scrounged around and went with Gosford Park instead. I quite enjoyed it; it's like if a BBC TV series was condensed into a film. The cast is overwhelming in scale and talent, and the aristocratic environment is captivating. It's one of those films that exudes the kind of ambiance that makes me just want to get lost in it and stay there for a while. I was taken out of the movie by the appearance of Stephen Fry as the bumbling Inspector, because of course I was mindful throughout the film of the terrific Jeeves & Wooster TV series he starred in with Hugh Laurie, based on the P.G. Wodehouse novels. Having him appear in this was probably pitch perfect for many viewers, but it was too much for me. Then again, I wasn't distracted by the appearance of three Harry Potter principals, and I'm sure many others would be. Yesterday, I went out to dinner with a friend and told her I had just watched Leave Her to Heaven - melodrama in glorious Technicolor! Five minutes later, I realized that I had told her the entire plot (with her permission, of course) in such an animated way that some people at a nearby table kept glancing in our direction. I guess I really enjoyed it! After watching The Adventures of Robin Hood, I watched the documentary about Technicolor that is included on the Blu-ray. It amazes me that two films can use the same coloration process to such different effects. Today, I watched The Last Emperor which definitely warrants a rematch as well as a listen to the audio commentary. After watching The Adventures of Robin Hood, I watched the documentary about Technicolor that is included on the Blu-ray. It amazes me that two films can use the same coloration process to such different effects. Saw Gosford Park years ago and enjoyed the Coward songs. He got a little resurgence of interest from it. I confess woeful ignorance here. I assume you mean Noel Coward? I just looked on IMDb at the soundtrack listing page and I don't see his name any--whoa! P.G. Wodehouse wrote the lyrics to "Nuts in May!" I've already met my quota for learning something cool for the day! See, this should teach me not to launch into casual conversation about a movie I haven't seen in 10 years. 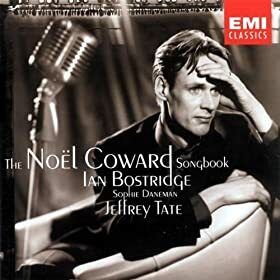 I just did some research (the movie's so old I found a D-VHS version ), and the songwriter I was thinking of was Ivor Novello (an actual character in the movie, and someone I know even less about than Noel Coward), not Coward. So why was there a resurgence of interest in Coward? Maybe there wasn't. I do remember this crossover-type album vividly, but perhaps it was completely unrelated to Gosford Park. There, I just told you something completely uncool so as not to exceed your quota. Sorry about the misinformation.